When I was pregnant I had one major craving which I just could not satiate. That was a craving for crab fried rice! If you’ve never tried crab fried rice, then you’ve been missing out my friend. I should say that it’s not the easiest menu item to find. In fact, when I was pregnant is was impossible for me to find. Every day for six months I woke up and told my husband that I wanted crab fried rice. I literally was obsessed with having it. It was like my brain was stuck on having crab fried rice. I never did have the chance to indulge in my craving for crab fried rice, because the one restaurant that I knew of that had it went out of business. 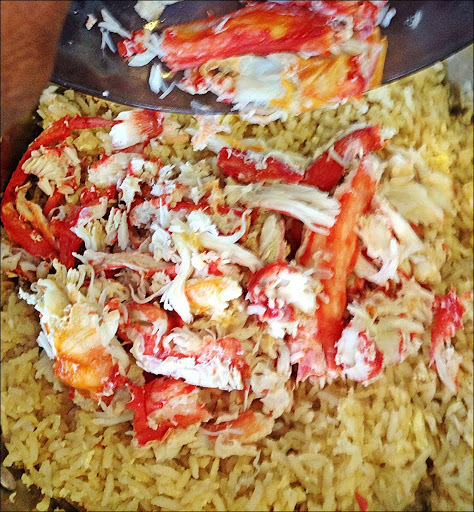 I wanted to indulge that craving today by making my own crab fried rice. My grocer was all out of lump crab meat, but he did have crab legs, so I purchased those to make this recipe. I’m not an expert on making crab legs, but I have a good friend who gave me her technique, you can find that here. I must say that after making it Gina’s way, I will never go back to buying lump crab meat again. 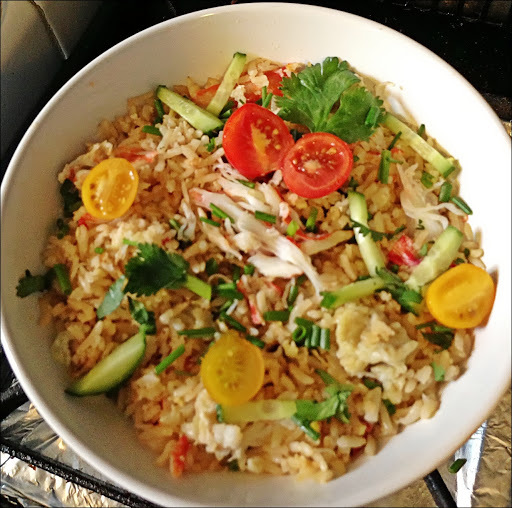 Fried rice is so easy to make, I normally make it with left over rice. Today, I made a quick cook brown rice in my rice maker. From start to finish, this takes 20 minutes! 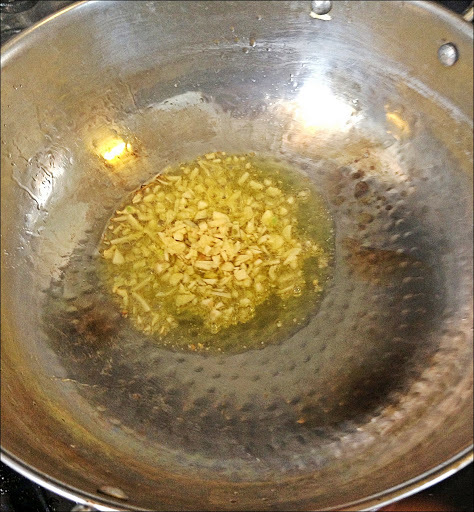 Heat the oil in a pan–wok preferably–add in the garlic, and let brown, add egg, immediately toss in the rice. Add the Fish sauce. Add in the crab meat, cilantro, green onion, mix well. Drizzle lightly with soy sauce, (not to much), and enjoy!